Champagne - Brut "sans année" or Millésime? A Brut ‘sans année’ (a Brut champagne without reference to the harvest year) is made out of reserve wines of different years. By mixing those wines the champagne maker can create a house brand : a champagne with a consistent taste and quality, typical of the house. Unlike other wines, you’ll never find the harvest year on the label of a champagne bottle, except with a Millésime or a Cuvée Millésimée. 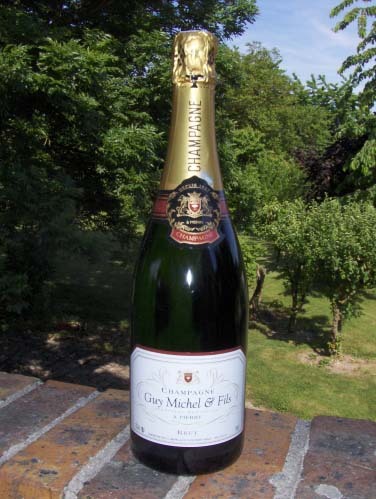 A 'millésime' is a champagne from a specific harvest year. When the harvest year was exceptionally good, a cuvée will be made with only the grapes of that year. On the label the year will be mentioned. Every Millésime has a different character. Usually it’s a Brut champagne, but some producers dare to create a sweet Millésime. Guy Michel (Pierry), one of “our” producers showed courageousness in 1975 and 1979 when he presented the Liquoreux. The 1979 can still be bought. 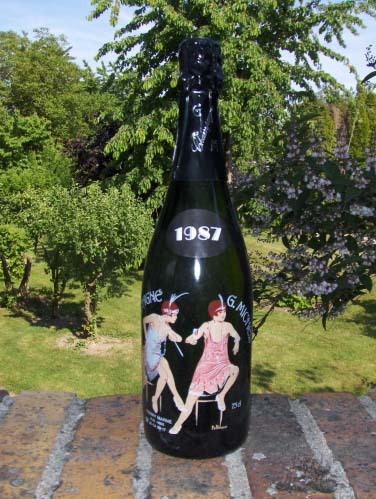 And the famous house Delamotte created a marvellous Millésime Demi-Sec in the nineties.